Relax and enjoy your stay from the moment you enter the luxurious lobby of the Hotel Royal St. Germain. You will find the hotel located between Saint-Germain-des-Prés and the Jardin du Luxembourg and Montparnasse. In our lounge, you will find French and International newspapers available for a morning read. You will be greeted warmly by 24-hour reception and enjoy a variety amenities as befits a guest of this 3-star superior hotel. Concierge services are available for your enjoyment and hotel staff who speak English, Spanish, French, and Italian. The reception desk will be glad to book taxis, airport transfers, restaurants, shows, sightseeing and more for you during your stay. In the morning, awake and savour the buffet breakfast from 6:45 AM to 10 AM. You may order it to your room until 12 PM. Hotel Royal St. Germain offers air conditioning in public areas as well as a lounge with internet point. Free and unlimited Wi-Fi is available to guests and laundry service for a fee. Also available are an iron and ironing board. The Hotel Royal St. Germain has an elevator and the hotel is located of a mere five meters away in the 500 stalls public car park. 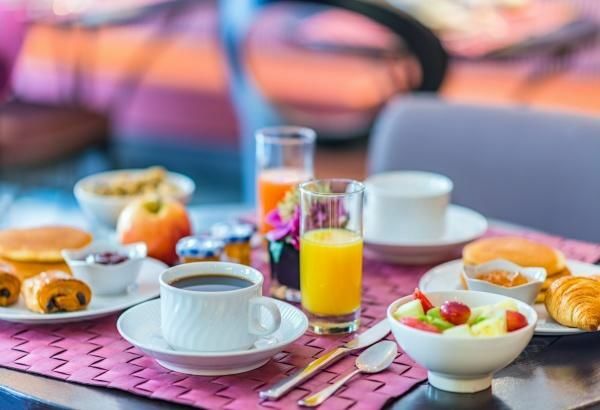 Make an excellent start with a hot and cold buffet breakfast in the breakfast room at Hotel Royal Saint Germain. This casual dining area provides an excellent variety of selections such as tea, coffee, hot chocolate, fruit juices, cereal, rolls, and local Parisian pastries such as “pain au chocolat”, fruit salad, “croissants”, dry fruit, yoghurt, ham and assorted cheeses. This first class meal is available from 7AM to 10.30 AM in the breakfast room until 12 PM daily for just 14€. 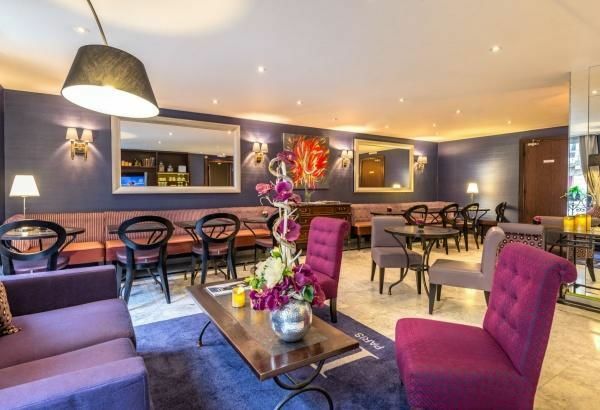 Experience the Hotel Royal St. Germain lounge. Guests receive lounge Wi-Fi access. In addition, newspapers are available in the lounge from International Press. 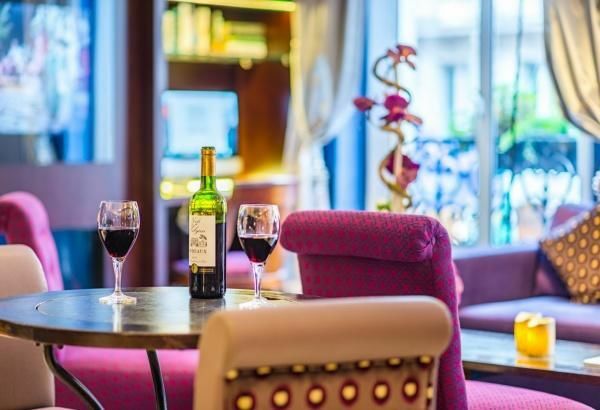 Order a drink at the reception desk and relax with a coffee or an alcoholic beverage to celebrate your time in Paris. 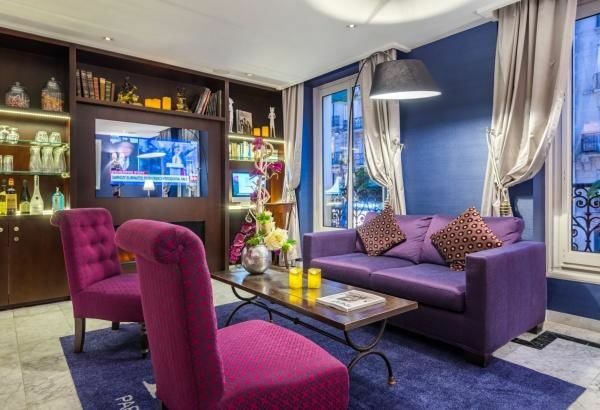 The Royal Saint Germain is a 3-star superior hotel in the heart of Paris Rive-Gauche. It is an ideal venue for business trip or romantic weekend. Enjoy the Honesty Bar. Guests are welcome 24/7 to have a drink and pay for their drink without encountering staff. For any family holiday, it is the perfect venue for Mum and Dad to have a little grown up time.